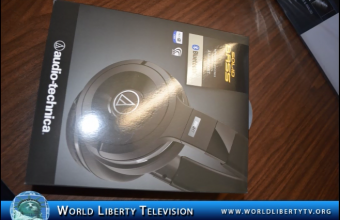 See These and hundreds of more Technology reviews right here in our World Liberty TV, Technology Channels . 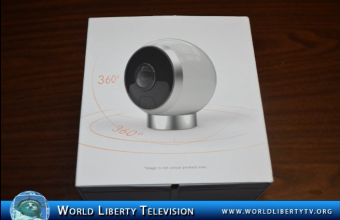 See these and more reviews right here in our World Liberty TV, Technology and Technology Review Channels. My life and what I have accomplished thus far, and being a former fighter from England & Winning the Greatest Indian,Pakistani & Bangla Belt , in the 1980’s Tournament & working , with fighters like : Emile Griffith, Vito Anterfermo, Juan Laporte, Carlos Ortiz, Saul Mamby, Iran Barkley , James Bone Crusher Smith, Mark Breland, Junior Jones, Joey Gameche, Lonny Bradley, who have worked with our non-Profit Org to raise funds, to help our youths, about the dangers of Drugs, and instead do sports like Boxing to keep there mind and bodies healthy. My Mentor Was Izzy Zerling Founder of G& S Sporting Goods Based on the Lower East side of Manhattan , who had been doing this kind of work for over 45 years. Jack Hirsch (former BWAA ,President) also attended many of our Fundraisers, Spoke and help organize many of our Annual gala’s for many years. 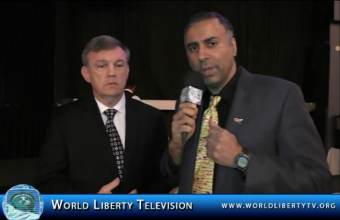 I also founded world Liberty TV, in Dec 10th 2011, an online TV, with over 27 Channels and seen by close to 1 Million People World Wide, One of The Channels Being The World Liberty TV,Boxing Channel @ http://worldlibertytv.org/category/videos/boxing/ which I am the Executive Producer of, we have interviewed some of the Biggest names in the World. Floyd Money Mayweather, Manny Pacquiao, Sugar Ray Leonard, Lennox Lewis, Jake La Motto, Miguel Cotto, Carlos Palamino, Aaron Pryor, Sergey Kovalev, Larry Holmes, Ray Boom Boom Mancini, Mike McCallum, Carlos Ortiz, Bernard Hopkins, Vitali Klitschko, Danny Garcia, Erik Morales, Laila Ali, Roy Jones Jr, Juan Manel Marquez and many many more. BWAA, Covered for the past 3 years. World Liberty TV, Boxing Channel is Viewed by over 100k monthly, and also on our social media, making it one of the fastest growing online TV, Boxing Channel on the Internet. 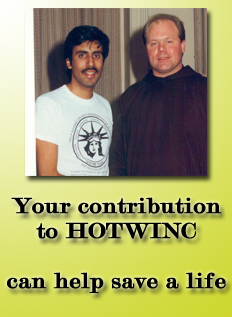 Humanitarians of the World Inc, (HOTWINC) www.hotwinc.org an non Profit I started over 6 years ago helping the poorest of Poor Worldwide, also we honor Humanitarians ,with (HOTWINC) ,Medals annually at our Gala’s ,for there contribution to humanity, we have named an medal after Emile Griffith, 6 Time World Boxing Great, known as The Hotwinc Emile Griffith Sports Humanitarian Medal, http://hotwinc.org/medals/humanitarian-medals/ given to an athlete who has contributed to humanity, Emile Worked with our Org, for the past 14 years, by making appearances, and doing many other humanitarian projects , especially working with our youths.., Since Emile Passed recently, so we have this medal in his memory which will be presented by his Son Louis Griffith, at our Annual Gala’s. Dr.Abbey has been honored over 350 times world Wide, for his contribution for Humanity, and helped thousand’s People World Wide and continues to do that. 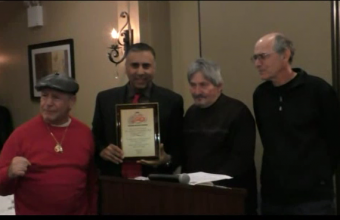 Dr.Abbey Was honored By The Ring 8 and New York State Boxing Hall of Fame on Jan 19th 2016, for his contribution to These Organizations as well as a total contribution to the Sport of Boxing, by showcasing it on World Liberty TV, Boxing Channel, See What many of the Movers and shakers had to say about our Executive Producer Being Honored as well as the World Liberty TV, Boxing Channel. Timothy Ray “Tim” Bradley, Jr. is an American professional boxer. He is a two-time WBO welterweight champion, currently in his second reign, as well as a two-time former WBC light welterweight champion and a former WBO light welterweight champion. Bradley has defeated twelve world champions over his career, including Manny Pacquiao, Juan Manuel Márquez and Devon Alexander, and has ended four undefeated streaks. As of December 2015, The Ring magazine currently ranks Bradley as the world’s #4 welterweight and #10 pound for pound. Bradley fought and beat former Lightweight champion Brandon Ríos on November 7, 2015 at the Thomas & Mack Center in Las Vegas to retain the WBO Welterweight title. He won the fight by technical knockout in Round 9 at 2:48, after he put Ríos down with a body shot and followed it up with a barrage of punches, dropping Ríos again and prompting referee Tony Weeks to wave the fight off. Timothy Bradley, Jr. was born in Palm Springs, California on August 29, 1983, and grew up in Cathedral City, California. He went to Cathedral City High School, along with future mixed martial artist and current UFC contender Cub Swanson.Prior to becoming a professional boxer, Bradley worked as a dishwasher and as a waiter. He married his high school friend, Monica Manzo, in 2010 and became an adoptive father to Manzo’s two children, all together the couple have five children. In 2015, a Golden Palm Star on the Palm Springs, California, Walk of Stars was dedicated to him. 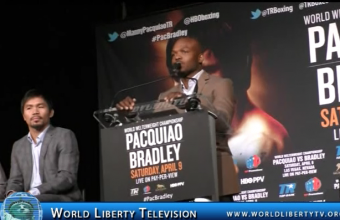 World Liberty TV, Boxing Team was on hand to Speak to Timothy Bradley at The NY Press Conference for his 3rd fight with Manny Pacquiao at The MGM Las Vegas on April 9th 2016, see what he told us about the upcoming fight and his fight strategies are going into the fight right here in our World Liberty TV, Boxing Channel. Theodore A. “Teddy” Atlas, Jr. is an American boxing trainer and fight commentator. The son of a doctor, Atlas grew up in a wealthy area of Staten Island, New York City, New York. His mother Mary Riley Atlas was a former contestant in the Miss America pageant system, as well as a model. His father was of Hungarian Jewish descent. Teddy spent summers in Spring Lake New Jersey, with his family’s friends. Teddy Atlas trained as an amateur boxer with Hall of Fame trainer Cus D’Amato. He had some amateur fights but had to turn to training due to a back injury. Atlas was an assistant to D’Amato, although his role in the Catskill Boxing Club was short-lived. His duties included assisting in the training of D’Amato’s teenage protégé Mike Tyson. However, Atlas left the camp in 1982 following an altercation with the 16-year-old Tyson after Tyson had been sexually inappropriate with a 11-year-old female relative of Atlas’s (Tyson said he had grabbed the girl’s buttocks). Atlas put a .38 caliber handgun to Tyson’s ear and told him to never touch his family again or he would kill him if he did. This altercation between Atlas and a young Mike Tyson led to Atlas’ dismissal from the Catskill Boxing Club and he was told he was no longer welcome in D’Amato’s home or around any of his adopted children (his fighters whom he had legally adopted, Tyson included). Atlas enjoyed his biggest success as head trainer to Michael Moorer, whom he guided to the world heavyweight title in 1994. He drew criticism for what some considered to be overly dramatic speeches in the ring corner, particularly during Moorer’s Heavyweight title fight with Evander Holyfield, and some felt he did this to draw attention to himself rather than help his fighter. During one such speech Atlas blocked Moorer from sitting on his stool and asked “Do you want me to take over?” Atlas has denied this, stating that he did what he believed the fighter needed based on his understanding of the fighter. Moorer went on to defeat Holyfield by a majority decision. Atlas worked as a boxing commentator for NBC’s coverage of the Olympic Games in Sydney (2000), Athens (2004), Beijing (2008) and London (2012). Atlas currently serves as commentator for ESPN, formerly for ESPN2’s Friday Night Fights and Wednesday Night Fights and currently for ESPN’s Premier Boxing Champions fights. In 2001, he won the Sam Taub Award for excellence in boxing broadcasting journalism, and was a contributor on fight doctor Ferdie Pacheco’s The 12 Greatest Rounds of Boxing DVD, on which he stated that in the first Ali-Liston fight the famous “blind round” in which Ali could not see after being hit by Liston’s gloves which had been smeared in a substance that temporarily blinded Ali. Atlas stated he would have refused to have cut Ali’s gloves off and would have simply sent him out with the advice to just “run”. Atlas is currently married to Elaine, with whom he has two children: Teddy III and Nicole. In 1997, he founded the Dr. Theodore Atlas Foundation to honor the memory of his father. The foundation awards scholarships and grants to individuals and organizations. Atlas published his autobiography, Atlas: From the Streets to the Ring: A Son’s Struggle to Become a Man, in 2006. The book covers many different periods of Atlas’s life, and compares his position as trainer to a role as a father. World Liberty TV,Boxing Team was on hand @ The Manny Pacquiao VS Timothy Bradley 3rd Fight @ MGM Las Vegas in April 2016, at MSG NY Press Conference, Mr Atlas is the Trainer of Bradley in this mega fight, see what he had to say to world liberty TV, Boxing Channel. Boxing’s only eight-division world champion and the reigning Fighter of the Decade, Congressman MANNY “Pacman” PACQUIAO, and five-time world champion TIMOTHY “Desert Storm” BRADLEY, will collide in a 12-round World Welterweight Championship battle of pound for pound titans, Saturday, April 9, at the MGM Grand Garden Arena in Las Vegas, Nev. This will also mark the first time former Trainers of the Year Freddie Roach and Teddy Atlas have faced each other from opposite corners. Promoted by Top Rank®, in association with MP Promotions, the Pacquiao vs. Bradley world championship event will be produced and distributed live by HBO Pay-Per-View. “I have always dedicated myself to who I am on fight night. However on April 9th I will not only have dedicated myself to that but also delivering the performance that everyone has long awaited,” said Bradley. “The greatest responsibility we have is to care for our families. But our greatest privilege is to be given a challenge to achieve something special that our families can share and always remember. Fighting Pacquiao is exactly that challenge,” said Atlas. “I am looking forward to this fight between Manny Pacquiao and Tim Bradley. We will see how much Manny has recovered from shoulder surgery and whether he has been able to retain all of his power. We saw in Tim’s last fight a new, improved Tim Bradley thanks and largely due to his astute trainer Teddy Atlas. One thing is for sure, this fight will be vastly different from the first two these two warriors have had,” said Hall of Fame promoter Bob Arum of Top Rank. Pacquiao (57-6-2, 38 KOs), the lone congressional representative from the Sarangani province in the Philippines and an international icon, is the only fighter to win eight world titles in as many different weight divisions. A three-time Fighter of the Year and the Boxing Writers Association of America’s “Fighter of the Decade,” Pacquiao’s resumé features victories over present and future Hall of Famers, including Oscar De La Hoya, Ricky Hatton, Marco Antonio Barrera, Erik Morales, Miguel Cotto, Shane Mosley, Juan Manuel Márquez and Bradley. From 2008 to 2010, five of his seven victories were world title victories in five different weight classes, from 130 to 154 pounds. No active boxer has sold more live tickets in the U.S. than Pacquiao, who is also credited with over 18 million domestic pay-per-view buys. He returns to the ring after a disappointing unanimous decision loss to Floyd Mayweather Jr. The May 2 world championship fight generated a record 4.5 million pay-per-view buys and over $400 million in television revenue alone. Bradley (33-1-1, 13 KOs), from Palm Springs, Calif., a two-division world champion who has held a world title every year since 2008, completed his comeback from his sole professional loss, to Pacquiao in their world title rematch, and a controversial draw against former interim world champion Diego Chaves — both in 2014 — when he beat undefeated world champion Jessie Vargas on June 27, to reclaim the WBO welterweight world title. Bradley put an exclamation point on his banner 2015 year in his title defense, under the guidance of new trainer Teddy Atlas, by knocking out former world champion Brandon Rios on November 7. It was the first time Rios had ever been stopped in his 11-year, 36-bout professional career, sending him into a temporary self-imposed retirement. A consensus Top-10 pound for pound fighter, Bradley returns to the ring a new fighter thanks to Atlas’ tutelage. A former junior welterweight world champion who unified the junior welterweight titles twice during his previous four-year world championship reign, Bradley moved up to the 147 pound division and beat Pacquiao on June 9, 2012 to capture the WBO welterweight crown for the first of three consecutive career-best victories. Bradley followed that by co-starring in the Fight of the Year on March 16, 2013, at StubHub Center, winning a brutal 12-round decision over future world champion Ruslan Provodnikov though Bradley was suffering from a concussion throughout most of the fight. Seven months later Bradley encored with another virtuoso performance in defeating three-division world champion and Mexican icon Juan Manuel Márquez on October 12, 2013, at The Forum, proving that Bradley is indeed one of boxing’s elite pound for pound fighters. Colin Luther Powel is an American statesman and a retired four-star general in the United States Army.He was the 65th United States Secretary of State, serving under U.S. President George W. Bush from 2001 to 2005, the first African American to serve in that position. 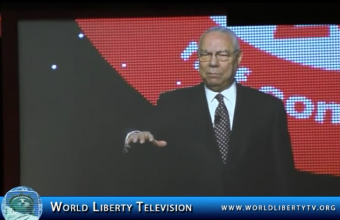 During his military career, Powell also served as National Security Advisor (1987–1989), as Commander of the U.S. Army Forces Command (1989) and as Chairman of the Joint Chiefs of Staff (1989–1993), holding the latter position during the Persian Gulf War. Born in Harlem as the son of Jamaican immigrants, Powell was the first, and so far the only, African American to serve on the Joint Chiefs of Staff, and the first of two consecutive black office-holders to serve as U.S. Secretary of State. It ain’t as bad as you think. You can’t make someone else’s choices. 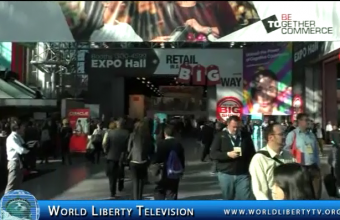 World Liberty TV, Team was on hand to cover the movers and shakers of the Retail Community right here in our World Liberty TV, Business Channel . 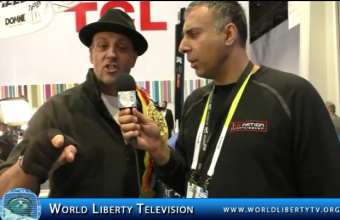 The Best of CES 2016, Meet Las Vegas Rocky, 3 Wheeler Polaris Car, and many new Products debuting at The CES 2016, Right here in our World Liberty TV, Technology Channel. Monster Cable Products, Inc. was founded in 1979 by Noel Lee®, who was a laser-fusion design engineer™ at Lawrence-Livermore Laboratory™. From this discovery, he developed as well as an audiophile and professional drummer. Lee® discovered that wires of different constructions produced varying degrees of audio performance high performance speaker cable, named it Monster Cable, and literally created an industry. The invention of Monster Cable created a new product category that revolutionized® the audio market. Prior to Monster Cable, most stereo systems were wired with ordinary “zip-cord,” the same cable used for electrical household and lamp wire. Their inferior construction and cheap materials restricts power, dynamic range and clarity in the lows, mids, and highs. Lee chose the name “Monster” because it sounded strong and powerful. It became an immediate hit with consumers. In fact, the name Monster Cable is so synonymous with high quality and high performance, customers often assume that any cable they purchase in reputable stores would be Monster even though there are other cable brands. Monster is now the world’s leading manufacturer of high performance cables that connect audio/video components for home, car and professional use as well as computers and computer games. Monster Cable is an indispensable component for music lovers, audiophiles, recording studios, sound professionals, musicians, custom-installers and home theatre enthusiasts. Monster’s audio cables increase the clarity, dynamics and power of the audio signals that travel through them. Monster video cables deliver the sharpest, clearest picture possible with naturally vivid color from traditional and digital television, projectors, home theatre and satellite systems. Monster Game products lets enthusiasts enjoy the ultimate gaming experience by maximizing sound and video quality of a gaming system. Monster Power, a division of Monster Cable, delivers cleaner AC power to A/V components and computer products and high joule surge protection for maximum performance. Monster’s New Product Development division draws upon years of audio design and critical listening experience, to create the innovative, high performance cables and accessories that make Monster the leader in the industry. Already holding over 500 US and international patents and 100 patents pending worldwide, Monster is continually striving to discover and develop new, advanced technologies and designs to meet the needs of the ever-advancing consumer electronics industry. Monster offers over 5000 products and is sold in over 160 countries worldwide. Monster is also a leader in the local community and prides itself in the work it does to help those who are in less than fortunate circumstances. See what Monster does to care for our community. 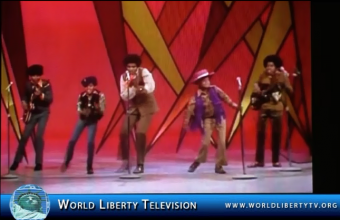 World Liberty TV, was on hand at the Monster Press Conference and The Monster Concert at Planet Hollywood, Las Vegas Healing the World a tribute to Michael Jackson, watch it right here in our World Liberty TV. Fitbit Inc. is an American company headquartered in San Francisco, California. Founded and managed by James Park and Eric Friedman, the company is known for its products of the same name, which are activity trackers, wireless-enabled wearable technology devices that measure data such as the number of steps walked, quality of sleep, steps climbed, and other personal metrics. The first of these was the Fitbit Tracker. On May 7, 2015, Fitbit announced it had filed for IPO with a NYSE listing. 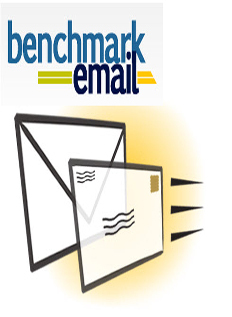 The IPO was filed for $358 million. The company’s stock began trading with the symbol “FIT” on June 18, 2015. 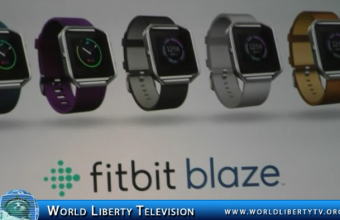 World Liberty TV, Technology Team attended the FIT Press Conference During CES 2016, see some of the new Products that FitBit Debuted during its Press Conference and hear from the CEO and management of Fitbit right here in our World Liberty TV, Technology Channel . ShowStoppers is the global leader in producing press and business events spanning the US, Europe and Asia. Each event organizes product introductions, sneak previews and demonstrations for selected journalists, bloggers, industry and financial analysts, venture capitalists and business executives. Industry leaders, innovators and startups exhibit at ShowStoppers events around the world to help generate news coverage and product reviews, make new connections, promote brand, and open new markets. For eight consecutive years, ShowStoppers is the official press event of IFA, the global tradeshow for consumer electronics and home appliances that moves markets and inspires buyers. For three consecutive years, ShowStoppers is the official press event of NAB, the industry tradeshow where content comes to life. ShowStoppers is the official press event of GITEX, the information and communications technologies tradeshow that is the business gateway to the Middle East, North Africa and South Asia. We produce ShowStoppers Launch.It, the official “pitch” event for startup companies exhibiting in the Eureka Park TechZone at CES. ShowStoppers produces the official press breakfast for the CEA Line Show during CE Week, the mid-year conference and technology showcase for the consumer electronics industry. 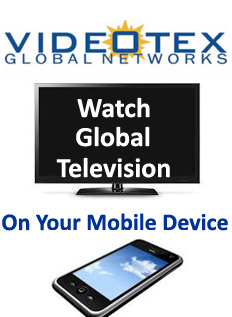 We organize press panels and press tours to IFA and to the IFA International Press Conferences, and for CTIA. 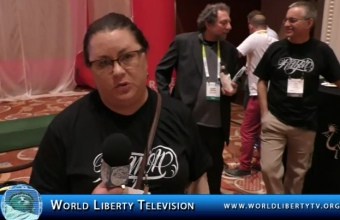 World Liberty TV, Team was on hand to cover Mr Steve Leon’s event held at Wynn Casino in Las Vegas, see the movers and shakers right here in our World Liberty TV, Technology Channels.